InsideIIM is happy to feature the story of Amit Grover. This is a great interview for any of you wanting to take the entrepreneurship plunge. He says people should jump into it but jump responsibly. 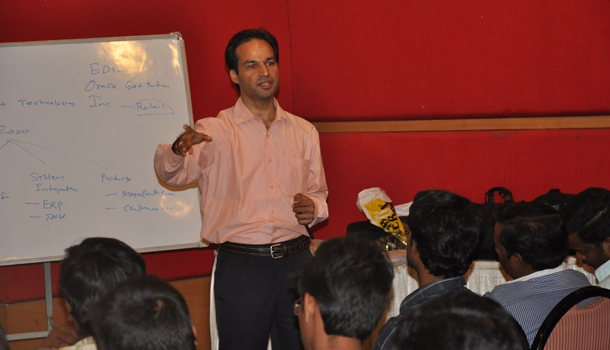 Amit Grover is an IIT Delhi and IIM Indore alumnus, who is passionate about entrepreneurship. He has worked with Infosys, Asian Paints and Onida in the past. 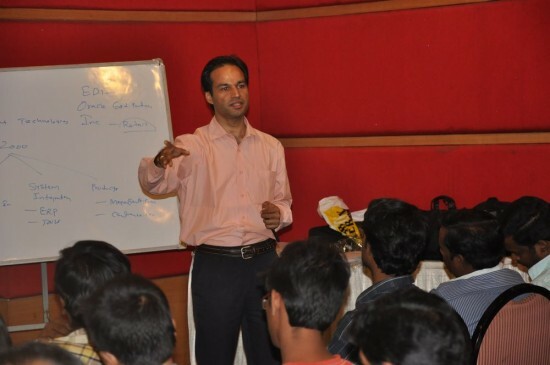 He is the CEO and Founder of Nurture Talent Academy, India’s 1st institute for entrepreneurs. He is also associated with Mumbai Angels, a premier group of angel investors. 1. Walk us through your story. What motivated you to launch this start up? After my MBA from IIM Indore, I took up sales and marketing job in Asian Paints. I was enjoying my role as a Brand Manager when I got an interview call for joining as Special Assistant to the Chairman of Onida, Gulu Mirchandani. I accepting it while still wondering what that role will be all about, but was highly impressed with Gulu’s vision. He had started his entrepreneurial journey in tough times in 1980’s and is an angel investor now, who invests in startups. I was handling his investment portfolio, and meeting entrepreneurs every day. In this role, I met over 1000 entrepreneurs in 3 years and also became a part of Mumbai Angels, India’s premium group of angel investors. Being in the middle of so many energetic people, I felt these were the heroes in the society. I decided one day I will also become a hero, so I resigned from my job and Nurture Talent was born in January, 2010. 2. Does Nurture Talent promote entrepreneurship or does it also offer assistance (financial or mentoring) to budding entrepreneurs? How does it do these? Our programs are offline (classroom based, faculty led) as well as online (web recordings, mobile conferences). 3. Describe what you have accomplished through Nurture Talent and what you plan to accomplish in the future. We have conducted over 250 workshops across 80+ cities and attended by 15000+ students. Our training programs range from 1 hour to 3 months and cover subjects like idea generation, business plan, funding, investments etc. Over 75 people have started their ventures as a result of the training and mentoring support. However, this is just a start – in next 3-5 years, we wish to enable 1000 ventures start and generate 20000 jobs. 4. How would you measure the success of your initiative? We measure the success of our initiative with the number of participants who go ahead to start their ventures and generate jobs. Our training programs help students to save time, save money and get knowledge of beginning their entrepreneurial journey. In the past, over 75 ventures were born due to our initiatives, and we are confident this family of entrepreneurs will grow faster in the future. 5. Do you think that Indian people – especially the educated class, lack an entrepreneurial mindset? How do you see this phenomenon going forward, and what role do you visualize for your organization in this? Yes, there are various “ropes” that tie Indian people – especially the educated class! This includes an education loan, peer pressure, car loan, club memberships, EMI payment of home loan, parent’s expectations – all these are the reasons or excuses people give before taking the jump. Unfortunately, when a student joins a college, the first thing he/she is “sold” include ‘job placement’, ‘career’, ‘salary’, ‘job safety’. Personally, I believe capable people should try entrepreneurship at least once. If IIT-IIM people will not get a job when they fail, then who will? In Nurture Talent training programs, we try to keep things entertaining and interactive, and add new way of learning while keeping the serious aspects of entrepreneurship intact. We want people to jump, but to jump responsibly. 6. In which areas of the Indian economy do you see the brightest prospects for entrepreneurs? I see bright prospects in the areas related to fundamental human needs – food, water, education. Technology will remain a favorite of investors – including internet, mobile and social commerce. 7. What has been the main learning for you as an entrepreneur? My main learning has been to keep trying something new. If you keep doing the same thing, you will keep getting the same results. Another thing that I learned was to take quick decisions without numbers or data – something not taught in any IIMs. You have to go by guts, and put all your effort to make the decisions right. 8. How have your previous stints at large organizations – at Infosys, Asian Paints and Onida helped you in this venture? How has MBA helped? Yes, my previous stints have definitely helped me. Primarily, they are big brands so it lends credibility to what you are doing. I learned the importance of brands and that customer loyalty cannot be bought – it can only be build. MBA has also helped in some ways, though I will like to add that 90% of what I learned in MBA classes has gone waste. However, the experience I had in conducting Utsaha (marketing festival) while in IIM Indore is something I still carry and utilize. Most importantly, the friends that I made in IIT Delhi and IIM Indore are always there for me – so I will suggest to all current students in their respective colleges to make as many friends while they are studying – you will never regret doing this.